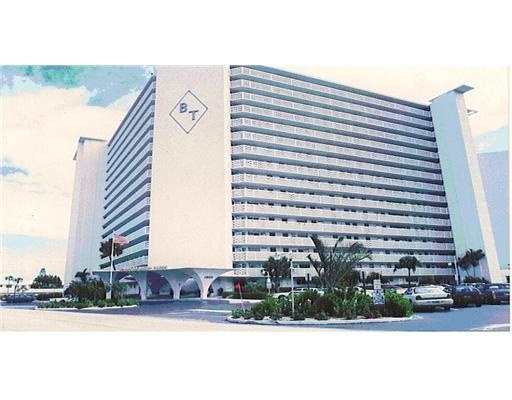 Fort Lauderdale Real Estate has some beautiful waterfront properties and Breakwater Towers is a wonderful co-op development located in the Fort Lauderdale beach district with fabulous views of the ocean, intracoastal and port everglades. Read more about Breakwater Towers in Fort Lauderdale, Florida. Breakwater Towers Co-op is in a more private area of the beach district located just south of the main Fort Lauderdale strip, just minutes from Las Olas Blvd. Breakwater Towers is 17 stories tall and was built in 1960 with a art-deco flair. This Co-op building exudes that florida flair that so many people love about the south florida architecture. Breakwater Towers have some gorgeous views from the apartments of the intracoastal waterway, port everglades and Lake Mayan. Your able to watch huge cruise ships come into port everglades without ever leaving your apartment. Some of the amenities that Breakwater Towers Co-op has to offer include a heated pool, barbeque area, clubhouse and shuffleboard. At Eric Miller and Associates, "We're here to help" with your next Breakwater Towers purchase or sale. Contact us directly at (954) 383-8170.